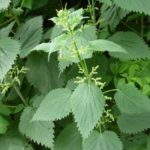 If you mostly know stinging nettles through the discomfort they inflict, you might have doubts about putting extracts from said plant on your hair. 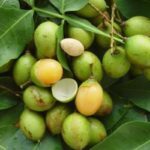 It’s perfectly understandable, but you would be delighted to know that the plants above ground parts have been applied to the skin to treat issues such as hair loss, oily scalp, and oily hair. 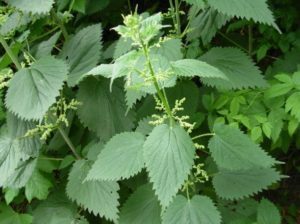 In addition, stinging nettle extract has been used as an ingredient in hair and skin products. Stinging nettle shampoo has a host of benefits. People on this planet have different kinds of hair. Some wear it short, others prefer it long. There are some who have straight hair while others have curls. Then there are those with manageable hair and others who have to deal with frizz. Some even have hair that is smooth and shiny. Hair can also come in different colors and textures. But no matter what kind of hair you have, there is a possibility for it to fall to hair problems. Some of the most common hair issues include hair loss, hair damage, and greasy hair. Just like life, hair goes through a cycle. Falling out is part of that process; it’s a stage where the old ones are replaced by new ones. Losing about 100 hairs in a single day is also pretty normal. Men develop male-pattern baldness as they get older. An indication of this is slowly losing the hair located on the top of the head. This condition is inherited – from both parents – and is driven by testosterone, the male hormone. Ladies aren’t immune to this problem either. That said, there is a difference. Women tend to find that their hair has thinned throughout the top of their scalp. While those forms of hair loss can be considered normal, there are situations wherein hair loss is caused by disorders. For example, those who have the autoimmune condition called alopecia areata experience hair loss in their scalp and other parts of the body. Some hair care practices can also lead to hair loss. These include wearing ponytails that are too tight and bleaching hair regularly. Many people like to style their hair, but overdoing it can cause more harm than good. Regular perms, highlighting, straightening, and blow drying can lead hair to become brittle, broken, and difficult to manage. Hair issues such as dry hair and split ends are often the results of over styling hair. Heat can also contribute to split ends, a condition where the cuticle of your hair becomes damaged then peels back. Your scalp has this natural oil called sebum, which is responsible for lubrication. However, the overproduction of sebum can lead to greasy hair. When hair is greasy, it look dull and lifeless and may even be laborious to manage. 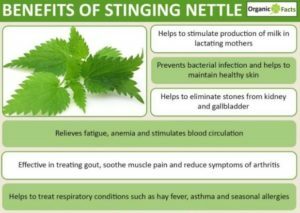 Stinging nettle is a plant, and just like many others, it has been used for medicinal purposes for many years. 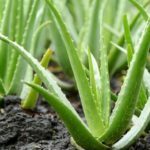 Sure, it will hurt you but certain parts such as the root and those found above ground provide certain benefits, one of those being treatments for hair. Capsules and tea have been made from stinging nettle to produce treatments for hair loss. In addition, massaging the scalp with nettle oil also helps fight hair loss. Silica and sulfur are found in nettle leaves, and these elements help regrow hair. Not only that, the elements also contribute to hair being more shiny and healthy. 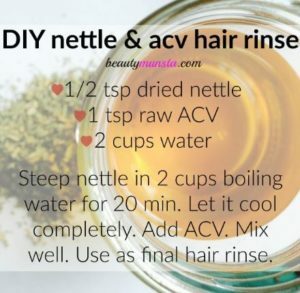 Hair products made from nettle extracts can be used to rinse hair to aid its regrowth. Dandruff can also be treated by combining coconut or mustard oil with dried nettle leaves then massaging this mixture on the scalp. It works best if left overnight. 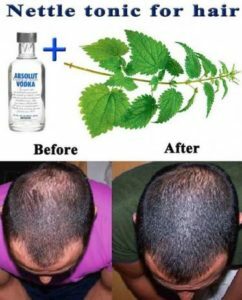 Crushing fresh nettle leaves then massing the extracted juice on your scalp also works. There are many reasons to use nettle shampoo. For one, you might be trying to control a hair issue that can be solved by using a product that has nettle extract. Another reason might be to ensure that your hair always looks great. Either way, you have to consider certain factors before making a purchase. What is Your Hair Issue? What particular hair problem are you trying to solve? If you’ve tried other brands that promised a cure but still left you unsatisfied with the results, you can try a nettle shampoo to see if it can fix your hair woes. Your problems may be solved by an olive oil and egg hair mask. Nettle extracts have been used to treat hair issues such as hair loss, oily scalp, and oily hair. 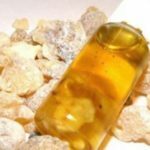 While some would opt to just apply the extract directly onto the scalp, you might feel a lot better purchasing a product that contains the extract. This way, you don’t have to hunt around for stinging nettles on a day out. DIY Nettle Shampoo or store bought Stinging Nettle Shampoo? Stinging nettles start growing in the spring. They like places with sun, but the soil must be rich and moist. As such, you will usually find them along ditches, lakes, rivers, and streams. Since you can easily find them, it would make sense to try to make your own nettle shampoo. A lot of people are going the DIY route so why shouldn’t you, right? That’s a question that you have to wrestle with. But if you do indeed want to go down the DIY path, it’s best to determine if it’s truly what you want. Are you interested in making your own things? Do you not find the process bothersome? Can you devote enough time to make a successful product? If you answered a resounding YES to those questions, then maybe you’re ready for the DIY life. Finding a recipe isn’t that hard either: a simple search on the internet yields the results you need. On the other hand, if you want everything ready for use, then the store-bought variety is the one for you. 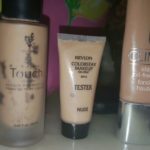 Choosing this option might mean going through a period of tests to see which product works best for you. Keep in mind that not every nettle shampoo is made the same way or contains the same ingredients. Some nettle shampoos, for example, come with certain scents to keep your hair smelling good. If you want a nettle shampoo that has a slightly pleasant organic odor then Urtekram Nettle Shampoo is a pretty good choice. How much are you willing to spend on a bottle of shampoo? You have to decide how much is too much since you will be including this purchase as part of your budget. Then again, this factor might not come into play in the early stages where you’re still testing out which product works best for you. Once you’ve decided, think about whether or not you can regularly set aside the amount needed for your shampoo of choice. The cheapest nettle shampoo on Amazon is around $4. I haven’t tried it but it probably will give you the same results. What else do you want out of your nettle shampoo? The very fact that it contains nettle extract means it can solve hair problems. However, each shampoo is made differently. Some have fragrances to ensure a nice scent goes along with fixing hair woes. There are also dry shampoo varieties where you just need to spray it – no rinsing required. Stinging nettle may be known as that plant that gives you grief. 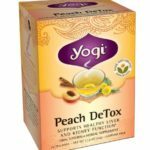 However, it contains elements that can actually solve common hair problems, such as hair loss, oily scalp, and oily hair. Nettle shampoos contain nettle extract as its key ingredient and they work just like regular shampoos with the healing benefits that nettle brings. Since there are lots of shampoos that advertise about containing nettle extract, you can go through a trial phase where you see which one works best for you. Some makers even infuse their nettle shampoos with different scents so if you’re the type who likes fragrant shampoos, this might factor into your consideration. 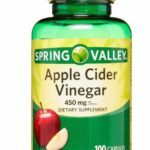 While you can always go for a store-bought variety, there’s also nothing wrong with going the DIY route. 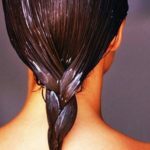 However, you need to be really confident before wading into this territory; the last thing you want is to create a product that does more harm to your scalp. Finding the best nettle shampoo for you isn’t a difficult task. However, it might take a few tests to help you find the product that works best on your hair.